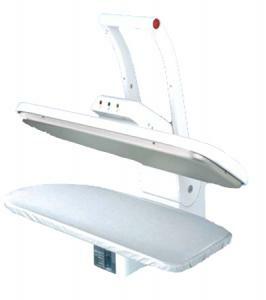 Save time from ironing. 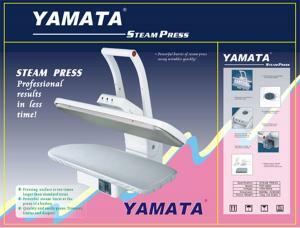 This Steam Press works on all types of clothing (pleated skirts,pants,blouses,etc.). It has an Auto shut-Off if down 10 seconds or if left up for over 15 minutes. It's portable and very easy to store. It includes the sleeve Pad,the Spray Bottle and its Instruction Manual. It is U/L Approved. Net Weight: 22 lbs./G.W. : 28 lbs. I am always so thrilled with service from All Brands as your service is timely and great and the value I feel I am getting is tops. Thanks for your consistency. My representative was efficient and helpful. I received the below mentioned product that I ordered yesterday and I love it. I don't need to go to the cleaners anymore. Thank You for the safe delivery of the product.